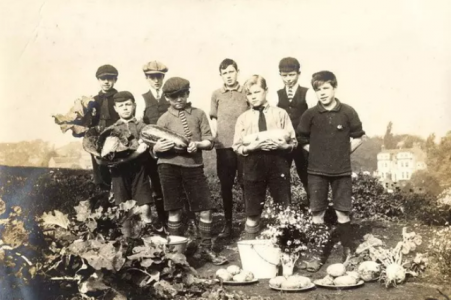 The Stonelow Junior School located in Dronfield has received £10k from players of the National Lottery for a project called the Dronfield’s Home Front 1917. This was awarded by the HLF (Heritage Lottery Fund) it is a programme which focuses on discovering what the everyday life was for Dronfield’s citizens during the First World War and the effect it had on the people and the town. The project involves students in the 5th year, parents and teachers. The Derbyshire Records Office currently holds the log books from that period, which will give the local community and the kids a great starting point for their extensive research. They have even agreed to train anyone who wants to participate to how to use these logs for research purposes. The activities include an extra-curricular WWI intergenerational research club, creative writing and drama workshops. All of these activities will be led by experienced and skilled practitioners from Whitworks Adventures in Theatre. This project will last for an entire year, starting from this December and it will end in a book which contains research, written responses, and art. The book will be handed out for free to every family in the school as well as other community members. There is no need to mention that this work will also create a heart of a celebration during the Holiday season while exploring the local WWI stories. The discoveries of the project will be shared as widely as possible including online.